Juan D. González is an award-winning broadcast journalist and investigative reporter. A two-time winner of the George Polk Award, he is co-host of Democracy Now!, author of "Harvest of Empire: A History of Latinos in America," and a founder of the National Association of Hispanic Journalists. He spent 29 years as a columnist for the New York Daily News. 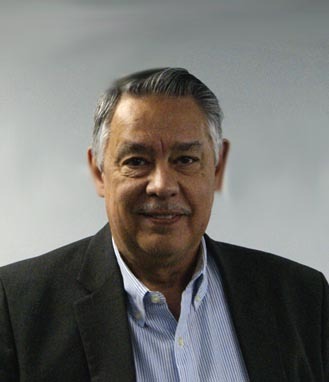 Juan González's research interests include journalism; mass media history; federal mass communications policy; history of Latinos in the United States; Puerto Rico-U.S. relations; immigration, race and labor relations; and the role of dissident movements in promoting social change. Since the 1970s, he has been a general reporter and columnist in newspapers, radio, and television – both commercial and alternative media. His areas of expertise have centered on urban affairs and investigative reporting, with a special focus on municipal land use and tax policies, public education, criminal justice, race relations, the trade union movement, immigration, and the Latino community. One of González's books, "Harvest of Empire: A History of Latinos in America," has been used for more than a decade as a required text in nearly two hundred college Latino history and ethnic studies courses. A 2012 feature documentary based on the book (narrated by González) garnered several major documentary awards. In addition, the 2013 PBS Series “Latino Americans” featured interviews with him in three of its six segments. A more recent work he co-authored in 2011, "News for All The People: The Epic Story Race and the American Media," is currently used in several college media history courses. Before beginning his career in journalism, González spent several years as a Latino community and civil rights activist, helping to found and lead two national organizations, the Young Lords Party during the late 1960s, and the National Congress for Puerto Rican Rights during the late 1970s. Gonzaléz, Juan D. Harvest of Empire: A History of Latinos in America. 2nd ed. London: Penguin, 2011. Print. Gonzaléz, Juan D., and Joseph Torres. News for All the People: The Epic Story of Race and the American Media. Brooklyn: Verso, 2011. Print. Gonzaléz, Juan D. Fallout: The Environmental Consequences of the World Trade Center Collapse. New York: New Press, 2002. Print. Gonzaléz, Juan D. Roll Down Your Window: Stories of a Forgotten America. Brooklyn: Verso, 1998. Print.